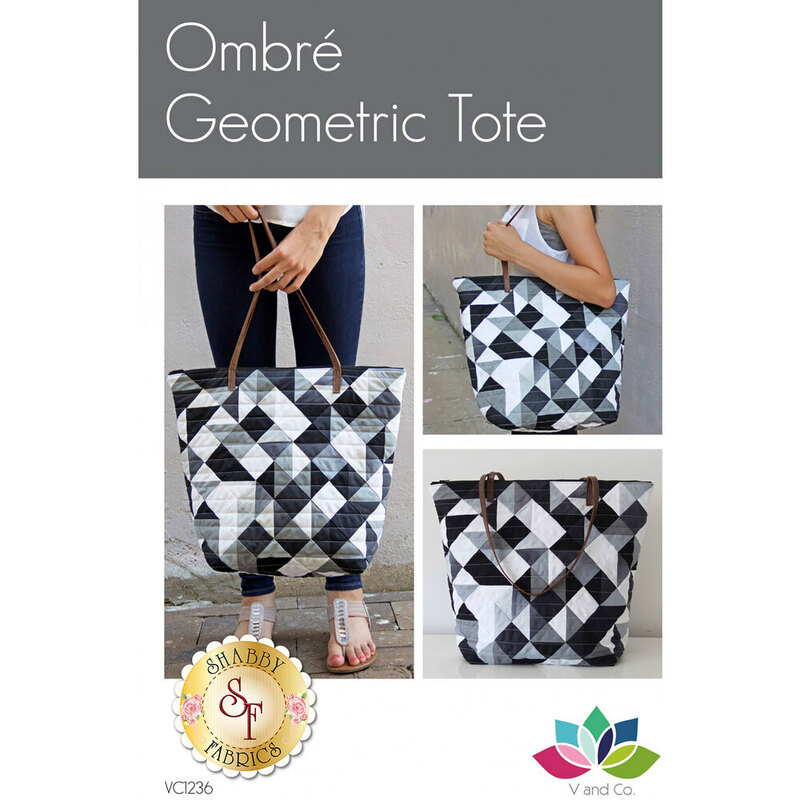 Ombre Geometric Tote Pattern by V and Co. 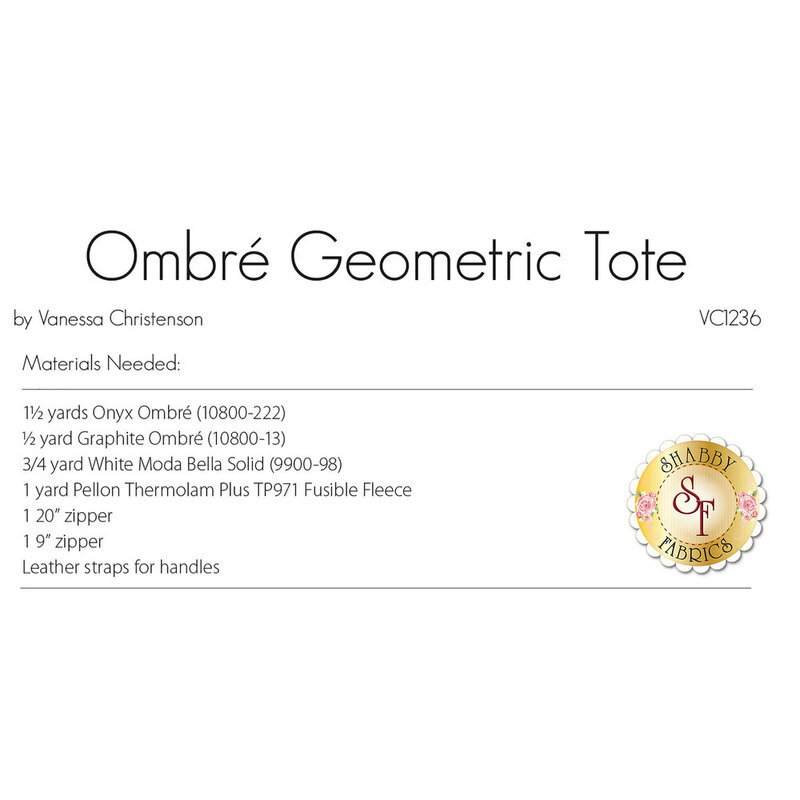 Carry your things in style with the Ombre Geometric Tote from V and Co! This cute and classy tote bag is perfect for using your favorite scraps or creating a color masterpiece.